SPEEDWAY, Ind. (May 22, 2017) – Oriol Servia, representing Palm Beach Driving Club, qualified 12th for the 101st running of the Indianapolis 500 on Sunday. Servia, driver of the No. 16 Rahal Letterman Lanigan Honda, had a four-lap average speed of 230.309 mph around the famed 2.5-mile Indianapolis Motor Speedway. His fastest lap was the first one at 230.537 mph. 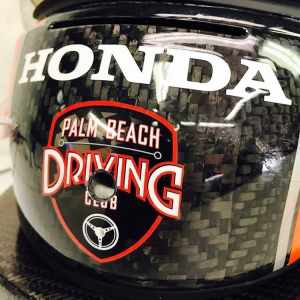 The veteran driver, who has a Palm Beach Driving Club logo on the front of his helmet, qualified two spots ahead of teammate Graham Rahal, whose four-lap average was 230.253 mph. Scott Dixon grabbed the pole position with an average of 232.164 mph. Servia was disappointed that he wasn’t among the top-nine qualifiers on Saturday to give him a shot at the pole position. But, he liked how his car performed on Sunday. Servia has nine starts in the Indianapolis 500 with a best finish of fourth in 2012. He finished 12th in the 2016 Indianapolis 500 as a representative of PBDC. The pre-eminent members-only club for automotive enthusiasts in the United States is located at Palm Beach International Raceway in Jupiter, Florida. 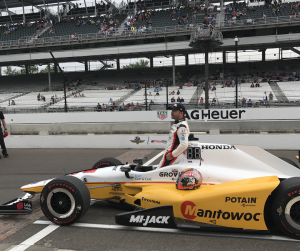 The 101st running of the Indianapolis 500 is set for May 28, with coverage beginning at 11 a.m. EDT on ABC, and the Indianapolis Motor Speedway radio network. For more information about PBDC, please go to www.racePBDC.com.